3 month launch plans work. There is something about Fall that makes me feel both scholarly and abundant. Ok, scholarly might be a stretch. But I am visiting my daughter at her college campus and I've seen more libraries and studying going on than I have in a long time. So, I am feeling like learning is in the air. If you're an author and you want to market and sell your book. I have a great invitation for you. Join me this Friday to learn how to create a marketing plan for your book and how to set up a schedule so that you can email, launch PR, host a launch event, invite your friends and network to help you sell your book and more in three months. And, without breaking your bank account. The details are over here in a special Facebook group ​for RockPaperStar clients, but since I'm feeling generous, I'm letting you in this month for free and hopefully we'll do some work together, or I'll have to kick you to the curb on all the book marketing tips we've learned in the past ten years helping authors like Harvey Mackay, Joe Sweeney, Matt Birk, Caryn Sullivan, Brandon Doyle, Chris Farrell and more sell books around the world. I would really like you to help me spread the word about this new book by Mike Domitrz, Can I Kiss You. It's perfect for young adults, educators and parents to navigate the tricky new waters of dating and intimacy. ​Please check it out and buy one for someone in your life. Or contact me with an idea for how we can increase exposure of this great book that just launched. p.s. It was a #1 bestseller on Amazon! It's not natural to promote yourself. But it's recommended for things you are passionate about. One new tip per day makes a difference. Coaching is about improving on new tips to reach your goal over an extended period of time. I love sports and one of the things I like most about summer is helping people learn how to waterski. I'm no expert skier, but I know the basics. If you start with one or two tips at a time, most people can learn how to waterski in one afternoon. And that doesn't even mean wearing nose plugs or yanking out an arm. Start with the basic concepts, knees bent, arms straight, sit like you're in a chair, let the boat pull you up. That's enough for anyone to think about, especially an 85 pound kid. So the boat takes off after you say "Hit it! Or Make it happen captain!" and then what happens, you can't remember all the things and the boat starts to pull you up and you yank your arms back and then you're almost up and then you lock your legs and fall backwards or forwards. I swim out and tell you to shake it off and the boat circles around and you give it another go. Arms straight, knees bent, let the boat pull you. And now I add in the mindset, relax, breathe, you got this. And so it goes usually about four tries is all I'll let someone go and then if they haven't gone at least 100 yards on skis then I say let's dry off and give someone else a turn and try again. It works. It always works. Mastering one tip at a time and following the proven formula always works. It's that easy, yet we always want to add in so many other things. Maybe it's the skis, I can't swim well, I'm too light, I'm too heavy, the driver is bad etc. Sticking with the basic tips will allow for success to come through. The same is true with launching a book. It's hard work. At RockPaperStar, we've been showing authors how to launch books and market themselves with several strategic tips for more than ten years. If you follow the basic 14 tips each day over a 3 month period it will be easier to launch and sell more than 1000 books. Why 1000? Because 80% of the published books sell less than that amount. 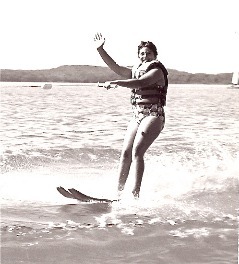 If I can get you waterskiing, I can get you selling 1000 books if you consider these tips. So, sign up for the free 14 day bestselling book launch tips and you'll be whizzing through book launch waving back at your readers in no time. Have a great fourth of July! AND grab those 14 tips HERE for FREE! If you're wondering why your networking feels so difficult, it may be that you don't have a clearly defined set of rules for how you approach building relationships. This article featured in 43 markets can give you a few ideas to put into action. ​ Published by the American City Business Journals. It would be great to know what you liked. How to face your networking fears. Starting a conversation is one of the easiest ways to expand your network. Add value, add your expertise by sharing one or two items of interest that will make you memorable. One of the most interesting aspects of my work with business owners is to see extremely talented, smart and accomplished leaders hesitate to ask for what they want from their network. And I use the term "network" loosely, as it could be people they've worked with for years or people they just met yesterday. Yes, it's human nature to be cautious and to consider carefully what you are asking for. You do not want to overstep your bounds. Do you avoid asking because it feels too salesy? Or are you not sure how to ask? I know I personally used to hesitate from asking, but I now only pause, since I have figured out how to ask by sharing my expertise — which I know will help other people reach their goals. Many people I work with want to do more speaking. Ask people in your network if they are on the boards of associations or organizations and might need a speaker. Tell them what you are doing and that you have the experience to be able to give a great speech or that you've spoken to a Rotary already and you want to do more speaking in 2016. If one person in your network introduces you to one person, then you have expanded your network. This sounds so basic, but we don't do it. And I don't care for the LinkedIn introduction feature. I prefer to ask my network directly by phone or email if they will connect me to a person that I know they know. I tell them what I am looking for and I ask them to introduce me. I always give them the opportunity to say no, but almost every time they say, of course I will connect you. This is using your voice to reach more people. Many people work in organizations or associations where they post weekly or monthly blogs. Ask to be a guest author and post your content in a newsletter that goes out to your target audience. People read emails from their associations, but may not read an email from an unknown person. By posting a blog you are stepping out and saying what you stand for and can share your expertise. Again, a great way to increase your visibility. You've probably been asked about your ideal client. Can you answer the question? Can you answer it quickly? Can you be specific? This is a great question to ask your network. So for example, if you're meeting with your accountant, you can say, "I'm looking to expand into the manufacturing space, do you know anyone who runs a business that I could call to learn more about the industry?" So, you didn't ask for the account. You asked for more info and that makes it easier for your accountant to make the introduction. In fact, he or she might want to join you for a lunch or a quick meeting. People talk about reciprocity in networking. To deepen the relationship, take the time after a meeting or a networking event to call the person who made the referral to find out more about what he or she does. Ask, "How can I help you, and what do you need?" Often, people are so startled that you genuinely want to help that they will ask you what they can do for you. And then you ask for an introduction or for them to keep you mind if they hear of anyone who needs your services. Starting a conversation is one of the easiest ways to expand your network. Add value, add your expertise by sharing one or two items of interest that will make you memorable. Ask for what you want, and please be polite when you ask. Cathy Paper is president of RockPaperStar, which coaches, develops and markets select business owners, authors and unique speakers to national status. 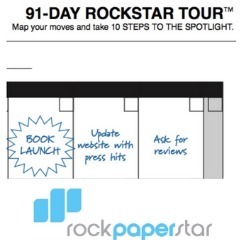 The 91-day RockStar Plan impacts marketing plans, career coaching, and business development. Her clients include Harvey Mackay — the No. 1 New York Times best-selling Author of "Swim With The Sharks" — Riley Hayes, Best Buy, and Paramount Studios. ​As seen in American City Business Journal. Click to see other articles. Vacation is vacation, but there is always room for one more relationship. Maybe you've heard that you always want to talk to the people sitting next to you on the airplane. I take a more creative approach to meeting new people, but I still also talk to my seatmate. Here are three approaches that can help to combine relaxation on vacation with potential networking opportunities. On vacation, I like to shop and observe the trends and differences between my home state of Minnesota and wherever I am visiting. Store owners and clerks are great for questions about something of interest. On a recent trip to Hawaii, I happened to be in a store where one side was an upscale shaved-ice business and the other side sells nicely branded clothes and accessories. I commented on a display and boom, there went the conversation. The owner and his brother had another business in San Diego, but were born and raised in Hawaii and just opened this store and launched a new brand, with a fabulous story about home, family and adventure. If I hadn't said what I did, the conversation wouldn't have started. Enjoy the adventure of vacation. If you're curious about skydiving or renting bicycles, give it a try. When you explore new activities, you never know what you will learn. On this particular trip, we went snorkeling, and the instructor showed us a nine-minute film before encouraging us to ask questions of the staff and lifeguards. My husband asked about the route and we received great information. Later, when we went to say thank you, I complimented the guide on his instruction, and that stared a conversation about his volunteer work. Another new connection made just by trying something new and engaging fully. Be patient. Later down the road, the order will come. I've been fairly active on social media for the past six years. I started as a way to learn more information and keep up with the newest trends. On vacation, I used Yelp to find good restaurants and as I would check in, my Twitter traffic increased as local companies thanked me for my comments. While I didn't secure any new business, I made many new relationships that I am confident will blossom into work. Networking can be as easy as just saying hello and starting up a conversation about something you have in common. Curiosity can lead the way, no matter how many miles you are from home. Cathy Paper is president of RockPaperStar, which coaches, develops and markets select business owners, authors and unique speakers to national status. The 91-day RockStar Plan™ impacts marketing plans, career coaching, and business development. Her clients include Harvey Mackay — the No. 1 New York Times best-selling Author of "Swim With The Sharks" — Riley Hayes, Best Buy, and Paramount Studios. Check out these networking email tips from HubSpot. I decided it was time to use my own voice. So, I started writing what I know, marketing, networking and promotion. And maybe a little bit on sports! And, the more I write, the more I realize it's a great way to tell the success of other people. Whether it's an author who recently sold nearly 1,000 books in the first few weeks of book launch or a recent college graduate that found her first job by learning a few new networking skills. I'd love to know what you think of these columns. It's always nice to see speakers get connected to their message. They learn how to speak to audiences and to land the ideas and stories that make the most impact. Along the way, they find their voice. But there's their voice and the words that come out and then there's their voice that they need to protect as one of the strongest instruments they have to connect with an audience. 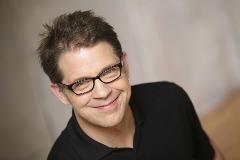 One of my clients is Carr Hagerman, an experienced speaker, voice-over talent and performer. Carr works with people to help them find both their voice and to improve their delivery. He gives people the tools to know what happens if you drink dairy before you speak and how to use softer tones to draw attention to key points. These are just several of the strategic points he makes with people wanting to really use their voice. If you've never worked with someone to help you deliver your message with more impact, I strongly recommend you find a professional to work with. Your audience will thank you and your voice will last longer than if you don't learn these tips.